WFMU is a radio station broadcasting out of Jersey City, NJ, often described as “the best radio station in the country” (“About”). Founded in 1958 and originally associated with Upsala College, the station has been independent since the college’s closing in 1995. Listener-supported, the station is funded primarily through listener contributions made during its yearly fundraising marathon. While they reject any form of corporate sponsorship, they do accept grants and government funding but do not use this money to over programming costs. 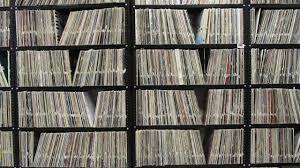 It is the longest running “freeform” format radio station in the United States: it’s DJs, all unpaid volunteers, have total control of their playlists and programming. The station’s broadcast tower transmits at a humble 1,250 watts, less than one third the wattage of commercial radio stations. Radio sits at the intersection of its technologies of production and broadcast, on the one hand, and its technologies of reception and listening, on the other. This relationship creates new frames of reception for the station. We bring these two technologies into the same frame of analysis by developing an account of WFMU’s freeform bandwidth: its infrastructures of sound, identity, funding, and brand that refuse simple characterization, changing from song to song and DJ to DJ while maintaining WFMU as freak radio. We ask what infrastructures of identity create WFMU’s personality and how it conveys this identity through its programming and unique sound. Noise and distortion become key terms as we investigate how the station-as-identity relates to other infrastructures that create invested soundselves. After all, WMFU, like all radio stations, could not exist without the schizophonic recording technologies that make it possible to split sound from source. Radio waves are the immaterial pathways of radio transmissions. A radio field is their terrain—a radio tuner can only detect and receive radio waves broadcast within a limited range of frequencies and within the spatial limits of the signal itself. Bandwidth is the space of the radio field apportioned to individual stations. To listen to a radio station, listener and station must be on the same bandwidth, which makes bandwidth signifier of a space of reception where that which is transmitted may be received. The larger the bandwidth, the clearer, stronger, and more accessible the signal. But radio fields are not composed of discrete spaces wherein signals may be as neatly and uniformly contained as the lines on the radio tuner or the station call signs seem to suggest. Signals bleed into one another, overlap and distort each other. Equipment may fail on both ends of transmission. 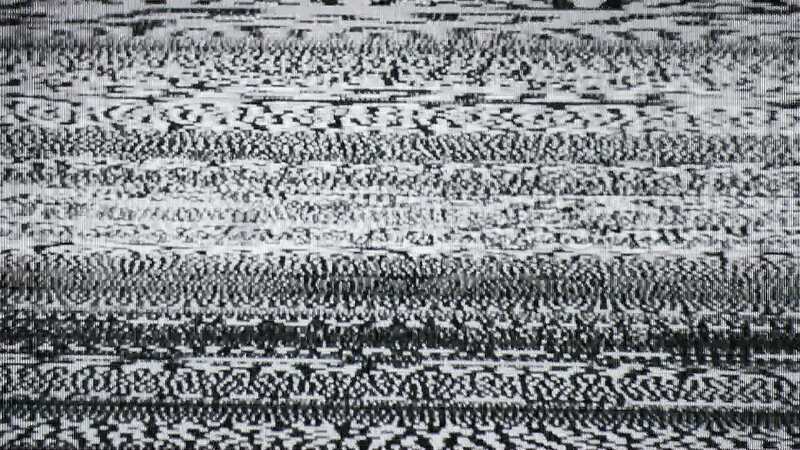 Tuning into the space where one signal abuts another, a fault in the tuner, or being too close to a powerful transmitter can lead to mixed and unintelligible sounds: noise. Radio fields are also limited and overlapping—a patchwork of signals, a shifting terrain wherein bandwidth will inevitably tune into a different signal or none at all. Bandwidth is a commodity. Bandwidth is commoditizable because radio fields are, or can be made to be, limited. Because they can be made to be limited they are also subject to control. In the era before the personal, tuneable radio set was a common household item, hardwired radio—tuned to a single signal—was common. Control over the signal gave the state a potent means of controlling what is transmitted (Larkin 2008) and who is addressed. Since personal tuneable radios became the norm, the radio field has come under control in the form of state licenses of bandwidth. In the United States the Federal Communications Commission distributes broadcasting licenses to stations—essentially leases for plots of land in the radio field. Broadcasting licenses allow for control of what may be and what may not be transmitted and when questionable materials may or may not be allowed on the airwaves. Licenses also become vectors of kinds of compulsory transmissions—station identifiers, emergency broadcasting, and other kinds of state required broadcasts. Such limitations, acting in the name of public safety, constitute a form of police: a monitoring and management of the domain of the sensible (Ranciere 2010). At the same time, that most licenses are owned by corporate entities means that the domain of the sensible is also policed by market calculation. Playlist decisions are made on the basis of marketability, corporate synergy, profit-seeking, market share, brand needs. Freeform radio, where it exists, tries to disrupt this organization of the sensible, mediated world, by playing that which is excluded from corporate radio, or corporatized forms of public radio. The ubiquity and popularity of radio has led to bandwidth becoming a metaphor for kinds of attention and understanding. One wants to communicate with someone who is on their bandwidth, who might be receptive to the signals they’re sending. 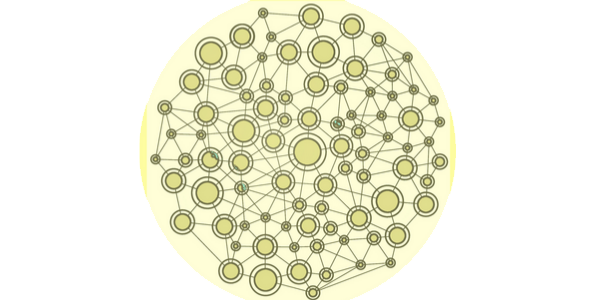 Bandwidth again refers to a shared space of possibilities, of communication. Communication that is not technical but emotional, philosophical, political, or even psychical. Bandwidth refers to that space where what is shared is discernable and decipherable as something more than thin information but thick, intersubjective resonance. In such spaces noise is not actively excluded. Rather, noise is inevitable–an excess produced in the act of communing, the possibility for greater connection. What does it mean to be on the same bandwidth as a radio station? On the one hand it is technical—to have a tuner tuned in to their bandwidth. On the other it is to exist in a space of mutual reception and engagement. A corporate playlist seeks to limit the conditions of possibility of noise, but a freeform station sees the productive possibilities of noise itself. Similarly being on the same bandwidth does not mean that communication cannot still fail or be distorted—there is never simply one signal. If tuning into a radio station requires kinds of technological equipment, being on another’s bandwidth requires other kinds of equipment—linguistic, discursive, political, emotional, and with listener supported radio like WFMU, financial. If radio is a hot media, one that actively and singularly engages a single sense sense more or less thinly, interpersonal communication is decidedly cool but offers more or less thick communication (McLuhan 1994). Freeform radio exploits this difference by drawing listeners into the act of deciphering what they hear, conscripting them to listen, call in, support, engage. Turning on the radio isn’t what it used to be. I used to carefully tune the dial, which even at then wasn’t a dial. It was an arrow key tuner, that could scan for nearby stations or be carefully inched to a precise bandwidth. So often it slipped past the station I wanted, missing it for bigger broadcast. Now, turning on the radio is going to a website and opening a mediaplayer. No static. No trying to hit the exact place on the dial. No guessing if you’ve tuned into the right station. We don’t turn on the radio the radio like we used to. We open the radio–it is an app like any other. But we are still tuning in to a bandwidth. It’s playing a tone. No; a drone. The DJ broadcasts an artist playing a single chord. At first it’s interesting: we ask if the chord constant or if we detect slight modulations. It goes on for ten minutes. For twenty. Is this a joke? Is this a song? Are we listening to the musical equivalent of dead air? Forty minutes. The noise is interrupted: “you’re listening to WFMU 90.1 and 91.1.” It’s just a few seconds of communication. A signal that we can make sense of amidst what is here, noise and here, music. It’s more a mumble. Soft, inaudible. As if the DJ doesn’t want to interrupt the glacial, alien oddity of the chord. The FCC mandates that stations identify themselves at the start and end of a program, and at least once an hour in-between. In those few seconds, freeform breaks and FCC regulations broadcast. Bernward Joerges (1999) distills theories of social order into two poles. On one end there are theories of control. Here, “social order and disorder are presented as presented as results of intentional action;” social order can be designed, engineered, and managed through technologies and their managerial systems (422). Infrastructural and systems designs often rely on this thinking, as it underwrites their value. Why build a bridge if you cannot ensure that it will get people from Point A to Point B? Why engineer a radio system if you cannot guarantee that it will successfully address subjects and carry messages domestic domains? Brian Larkin (2008) points out the infrastructural projects like radio often border on the fetishistic. Technologies of control are heralded as the products of modernity promising a future of progress and development. The fantasies of modernity are technophilic. At the opposite end are theories of contingency that understand social order as the result, not of intentional action, but the consequences of “many small actors adapting to circumstances at hand” (422). While these actors may make intentional decisions, their actions are “blind” meaning that they do not act to affect a determined plan (422). Such theories often have a kind of fatalism: technologies are destined to fail or behave badly, and attempts to direct or harness them are a waste of time and energy (Perrow 1996). Curiously, WFMU attempts to affect a particular set of results by harnessing the power of the contingent. 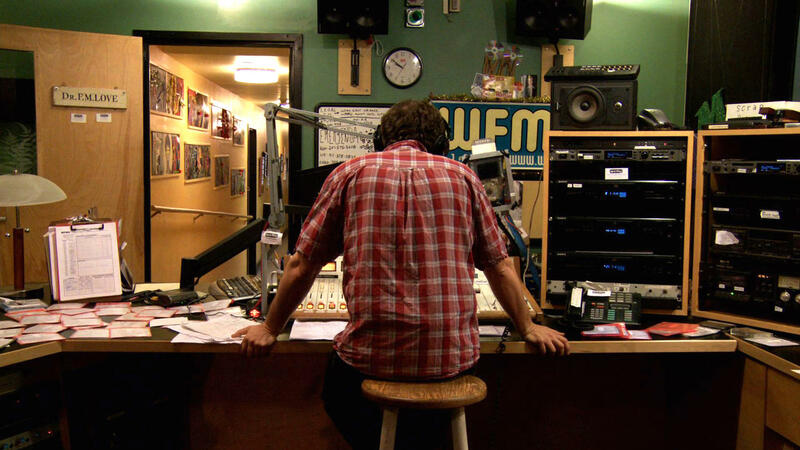 Though they didn’t invent the format, WFMU is the longest running freeform station in America. Freeform is a radio program format defined by radical DJ independence. Station managers give DJs total control of their content, regardless of genre, convention, or commercial interests. At WFMU, DJ chatter about the quality of station microphones plays next to seventy-minutes of a single chord, and is followed by by a live performance by a local polka band. Call in shows border programs that make jokes out of their listeners. Freeform at WFMU doesn’t just apply to their programming; it is also the basis of their funding model. Though the station occasionally takes some money from public and private grants, this money never goes to daily operations. Commercial free, WFMU depends on listener support to generate their comparatively meager operating budget. Freeform programing, however, means that DJs will not be taken off the air simply because they have low ratings or say things their listeners disagree with. Rather, the enterprise as a whole succeeds or fails by building freeform alliances its listener-benefactors. Just as freeform implies a space of decision making–DJs, not sponsors, determine playlists–it also implies a decision on the part of listeners. Anti-commercial radio, anti-corporate radio: It is a “reckless approach” to radio, that perhaps would not be possible in other contexts (Unterberger 61). WFMU Music Director Brian turner admits, “I don’t know how many markets we could be viable in besides New York, in that we play the craziest, weirdest spectrum of music.” At the same time, however, “there’s something for every type of listener” (quoted in Unterberger 61). Strength and weakness, risk and reward, freeform radio is a gamble. Unlike planners who place an optimistic faith control theories of technologies, Marianne de Laet and Annmarie Mol believe in the flexibility of contingency. In control theories, technologies are defined; they have clear border and are, so to speak, ontologically stable. de Laet and Mol trace the success of another kind of technology, one that is fluid. The Zimbabwe Bush Pump-Type B is a dependable and versatile pump that delivers clean, fresh water in rugged and remote locales. For de Laet and Mol the pump gains its strength not from its mechanical stability, but its ability to dissolve into its surroundings: It’s borders are constantly redrawn, the ways in which it functions are open for debate, and its edges meld into communities, national imaginings, and health infrastructures. They explain, in traveling to ‘unpredictable’ places, an object that isn’t too rigorously bounded, that doesn’t impose itself but tries to serve, that is adaptable, flexible and responsive—in short, a fluid object—may well prove to be stronger than one which is firm” (226). Serving the freaks and weirdos, those who don’t have another place to listen, WFMU’s freeform programming flows into unexpected and new places, drawing new connections, and creating new possibilities as it does. WFMU’s freeform programming is hard describe: it shifts often and plays by few rules. Sometimes to the point of not being recognizable as “programming” at all. It’s personality and its status seem to shift from DJ to DJ, even song to song. While stability is often prized, the ontological unstable may prove to have rewards that outweigh its risks. In the 1980s, four commercial radio stations appealed to the FCC to force WFMU to lower its bandwidth. The resulting legal battles cost the station over $400,000, risking their ability to stay on the air despite the ruling in their favor. Not long after, the Upsala College, which had helped support the station through their affiliation dating back to 1958, declared bankruptcy. Curiously, WFMU remains on the air. Simple pledge drives and dedicated listeners raised the money to upgrade the station’s studio and keep them on broadcasting. Radio, perhaps as much as the printing press, was more than a medium: it was a receptacle and emblem of the dreams of modernity. A mode of mass address, radio allowed states to speak to its new subject, the population. It was the active media of biopolitics. A technology, it symbolized the promises of science and rationality. Between these two poles the radio signal carried a message of stability, order, freedom, and development. Like other media forms of its era, its message was often one of control, a message that endures in corporate radio in the form of the playlist and the programming guideline. Freeform radio, and particularly listener-supported freeform radio, challenges the assumptions in this history. It does not address the mass but rather the fringe. A moment in Brian Larkin’s Signal and Noise is illustrative of the importance of noise in modernity. British imperial agents attempted to mobilize radio as a means of disciplinary power. 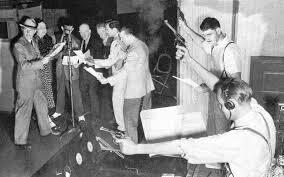 Their public radio broadcasts interspersed local music and vernacular news with English language broadcasts and music from the metropole. For indigenous listeners, then, a broadcast day was as much intelligible sound as it was indecipherable noise. “Addressed as the unintended objects of messages not created for them,” noise split the audience into those who understood themselves as hailed by the sound, and those who did not (Larkin 53). In either case, radio interpelates subjects. Larkin offers that noise refers to technical (or cultural) signal interference: something that distorts an otherwise clean relay of information (10). But this historical example points out that noise is not, or not just, interference of a signal. His example of Nigerian radio offers a subtly different take. Noise is not simply something that can disrupt or alter an otherwise clean signal just as noise is not a property or category of sound. Noise is a relation to sound; the experience of a subject positioned with respect to sound (53). The radio is a medium of sound but sound is a medium itself. Like all media, sound has the ability “transform, translate, distort, and modify” both what it transmits, and also its loci of reception—the listener (Latour, quoted in Hull 253). Noise is not empty. It is not a failure or a glitch or uncommunicative. Noise is always an overdetermined, if frustrated, communication. 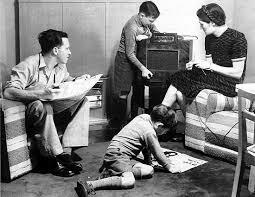 First, noise communicates a subject position: avant garde aficionado, casual listener, insider, outsider. Second, noise communicates a potential in the possibilities of mediating technologies (Larkin 53). To move from noise to music, or from noise to language is to move from outside in. “Unintelligibility does carry in it a promise” (Larkin 53). Julie Chu describes the importance of “file selves”—official, paper inscribed identities—in interaction with government bureaucracies (127). A well-constructed file self serves as the medium between aspiring Chinese migrants and state transit authorities (132). A file self must not only be constructed out of paper, but it must also be known and performed by the embodied self. (132). “A lack of mastery over one’s file self,” both inscribed and embodied, is “an index of one’s lack of credible commitment to the project of emigration” (132). Chu highlights the importance of managing the minor details—the noise—that proliferate in the media par excellence of modernity: files. Attending to noise, then, is attending to the material (files) and immaterial (sound) vectors by which kinds of identities are produced and mediated. Soundselves and paperselves. Just as paperselves derive from systems of bureaucratic paper-making, soundselves derive from systems of sound production, such as radio programming. Radio programming is just that: programming. It is the result of decisions made by actors, mediated by the form of the radio itself. What was communicated in colonial radio broadcasts? Difference: English and Nigerian, power and subject, modern and savage. Programming makes the programmer as much as the listener. In Larkin’s account the relationship between sound and noise also marks Englishness as a subject position: to hear words rather than noise is to be English, modern, and powerful. To hear noise is to be other to, but perhaps aspiring to be, what is in the realm of modernity. Programming takes on new meanings, and accumulates new opportunities to produce noise, in the context of private radio. 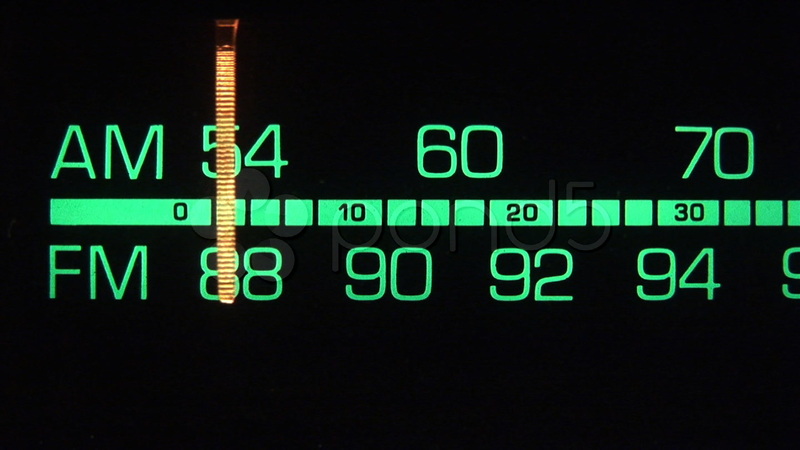 Noise is the enemy of commercial radio—it is what the dial spins past as it seeks the intelligible. To be profitable what commercial radio broadcasts must be intelligible to its audience. 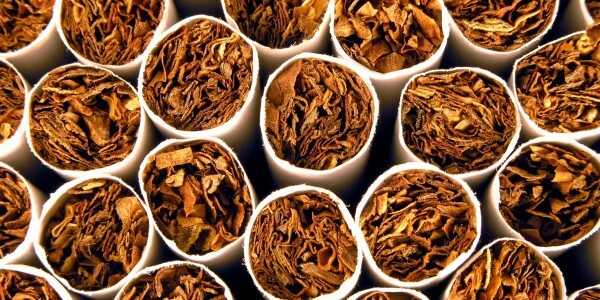 Noise’s condition of possibilities must be managed, if not eliminated. DJs must manage the transition from music to advertisement by handing the listener to them. “Please stay tuned for a word from our sponsors” (Morse 1986). Moreover, the uncontrollability of noise conflicts with the desire to produce and maintain stations as brand identities—sound brands. Static playlists minimize the chance of noise. But noise persists and is never silent. WFMU embraces the possibilities of noise to the point of building its own brand around it. If freeform radio is about returning choice to programming and listening, it is also a chance to return the possibility of noise to radio. The chance for noise also brings back the chance for radio to be a space of transformation—from corporate to freak. Radio extends both voice and ear through mediating technologies and infrastructures of address and reception. Songs played and words spoken are broadcast from radio towers. Transmitted, they ride radio waves, inaudible and invisible until they are translated by a precisely tuned device into decipherable soundforms. In the process, recordings waver and transmissions are altered, if ever so slightly. The listener hears something different than the announcer intended. Sometimes the listener doesn’t hear at all; what was clear in the station can quickly become static at its reception. Distortion is deviation and disruption. Radio is unruly. Freeform radio, especially. It refuses to behave, to transmit exact copies and replications of the original. And yet, there is no alternative. Bruno Latour (1993) explains that mediative technologies are never neutral. They cannot simply transmit a designer’s intentions directly and unaltered to a user or listener. Mediators always transform meaning in the process of transporting it. If inventing, engineering, and designing form a complex of practices to affect a particular use of a technology, the technology itself is inscribed with a “program of action:” a prescription for its use. To the sound engineer’s dismay, the technology and listener employ “anti-programs”—they repurpose the sound to meet their own needs and desires. The freeform DJ too rescripts sound making their anti-programs into a new listening program for WFMU audience members. Records take new forms in their hands; transmitted and heard anew they make new meanings. Deviation is normal, but we pretend it is an aberration (imagine an advertisement that foregrounded all the ways in which its product can fail) (Wynne 1988). Ever faithful in our belief of the puissance and infallibility of technology, we attempt to restore order, to retune the frequency, to modulate the voice, and to recalibrate the bass. We say that what we have found is a “glitch.” Sometimes we attempt to master distortion itself. Many of the signal processing techniques that are now ubiquitous in recorded music are in fact exploitations of such glitches. The most ubiquitous of these techniques is distortion: the artificial clipping and compression of a soundwave. Once an unwanted side effect of over-driven amplifiers, distortion is now a precisely modeled effect, a musician or sound engineers’ sonic signature. “Will the consequences of this schizophonic development be positive or negative? I leave you with this debate. ‘Schizophonia’ (its inventor says) is supposed to be a nervous word” (R. Murray Schafer 47). Before the radio and television, R. Murray Schafer (1968) writes, “your voice only travelled as far as you could shout. Sounds were tied indissolubly to the mechanisms that produced them. In those days every sound was an original, repeated only in its immediate vicinity” (43). The technical ability to record, store, and transmit sound at a distance has radically changed the relationship between source and sound. While sounds were once inseparable from their place of production (and thus indexical of time, place, and mode of production), recording and broadcasting technologies rupture this connection. “Through broadcasting and recording the binding relationship between a sound and the person making it has been dissolved. Sounds have been torn from their natural sockets and given an amplified and independent existence. Vocal sound, for instance, is no longer tied to a hole in the head but is free to issue from anywhere in the landscape. Now we can tune in on sounds originating from all over the world in our homes, in our cars, in the streets, in our public buildings, anywhere and everywhere” (Schafer 44). Schafer calls this curious severing sounds from their sources “schizophonia.” He is unsure of the effects of such a split, and aims to convey a sense of the nervousness, anxiety, and drama with the term. Removing sound from its natural source, we have translated it to a new form: the mobile and restless recording. Always a copy and never an original, the recording is quintessentially a product of mechanical reproduction. Walter Benjamin (1936) famously argued that art made through mechanical reproduction loses its aura. The reproduction of art cleaves it from its tradition. Flat copies replace unique originals, and it is these auraless and undynamic reproductions that are activated in the encounter with the audience. What forms of expression and communication are lost and gained through this rupture? What aspects of the art do we lose in the recording process? 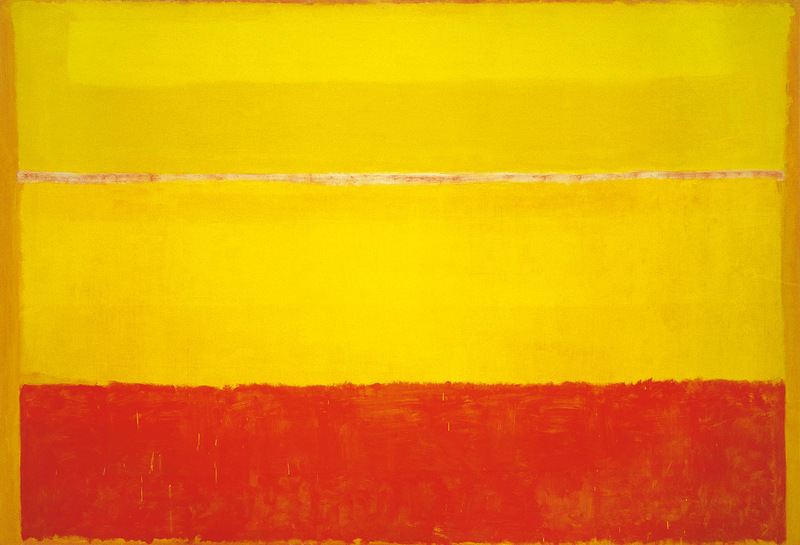 Do we lose its originality, its essence, its aura? On the other hand, a station like WFMU could not exist without recording technologies. Against, Benjamin’s theorization, Karen Strassler (2008) argues that “far from diminishing, within certain visual regimes and semiotic ideologies the auratic ‘cult value’ of an original can be enhanced, multiplied, and disseminated by the proliferation of copies made possible through the work of mechanical reproduction” (255). Detaching sound from production allows it to be mobile in new ways. Unmoored, it not only reaches new audiences, it takes on new meanings as it arranged into ever shifting montages: talking DJ, spinning record, ambient noises, listeners’ own voices, station identifiers. And in its distribution and circulation, new objects, like freefrom stations, are made. Relying on detachable and rearrangeable sounds, WFMU can only emerge through schizophonic technologies. Such a fact invites us to ask whether these mechanical technologies for reproduction rupture sound and source, as much as they might translate, actively mediating and transforming the original sound and its reception. We might ask, if the cleavage of sound from source is so disorienting, how is it that it is experienced so naturally? History and familiarity perhaps. One could describe, in more or less accurate terms, how radio programs are recorded, broadcasts, and received. Telephony, since its inception, has always attempted to demystify itself (Larkin 55). At the same time, radio often works to foreground its own aesthetic choices and procedures of address. Stations are identified, often with the names of the studio locations. DJs and other speakers are identified repeatedly, emphasizing the connection between audible voice and invisible speaker. In corporate radio, like corporate television, programming choices are carefully orchestrated and introduced so that potentially jarring shifts are smoothed away to create a sense of flow (Williams 1975). It is the expectation of discernibly planned flow that freeform radio may disrupt, even to the point that the planned flow of sound becomes a jumble of sound and noise. “About WFMU.” Www.wfmu.org, 2007. http://wfmu.org/about.shtml. Bessire, Lucas, and Daniel Fisher. “The Anthropology of Radio Fields.” Annual Review of Anthropology 42, no. 1 (2013): 363–78. doi:10.1146/annurev-anthro-092412-155450. Chu, Julie Y. Cosmologies of Credit: Transnational Mobility and the Politics of Destination in China. Durham, NC: Duke University Press Books, 2010. Federal Communications Commission. “Interference with Radio, TV and Telephone Signals.” Accessed March 8, 2015. http://www.fcc.gov/guides/interference-defining-source. Hull, Matthew S. “Documents and Bureaucracy.” Annual Review of Anthropology 41, no. 1 (2012): 251–67. doi:10.1146/annurev.anthro.012809.104953. Laet, Marianne de, and Annemarie Mol. “The Zimbabwe Bush Pump Mechanics of a Fluid Technology.” Social Studies of Science 30, no. 2 (April 1, 2000): 225–63. doi:10.1177/030631200030002002. Larkin, Brian. Signal and Noise: Media, Infrastructure, and Urban Culture in Nigeria. Durham: Duke University Press Books, 2008. Latour, Bruno. “The Berlin Key or How to Do Words with Things.” In Matter, Materiality and Modern Culture, edited by Paul Graves-Brown, 10–21. London ; New York: Routledge, 2000. McLuhan, Marshall. Understanding Media: The Extensions of Man. Reprint edition. Cambridge, Mass: The MIT Press, 1994. Perrow, Charles. “The Limits of Safety: The Enhancement of a Theory of Accidents.” Journal of Contingencies and Crisis Management 2, no. 4 (December 1, 1994): 212–20. doi:10.1111/j.1468-5973.1994.tb00046.x. Rancière, Jacques. Dissensus: On Politics and Aesthetics. Translated by Steven Corcoran. Tra edition. London ; New York: Bloomsbury Academic, 2010. Schafer, R. Murray. The New Soundscape: A Handbook for the Modern Music Teacher. Scarborough, Onterio; New York, NY: Berandol Music Limited, 1969. Strassler, Karen. Refracted Visions: Popular Photography and National Modernity in Java. Duke University Press Books, 2010. The Media Bureau. The Public and Broadcasting: How to Get the Most Service from Your Local Station. Federal Communications Commission, July 2008. Unterberger, Richie. The Rough Guide to Music USA. London; London; New York: Rough Guides, 1999. Williams, Raymond. Television: Technology and Cultural Form. 3 edition. London ; New York: Routledge, 2003.